Barcelona is Spain’s second most populated city and the capital city of the Catalonia community. The Catalan culture is strong throughout the city as locals take great pride in the history and language and make an effort to keep it alive. 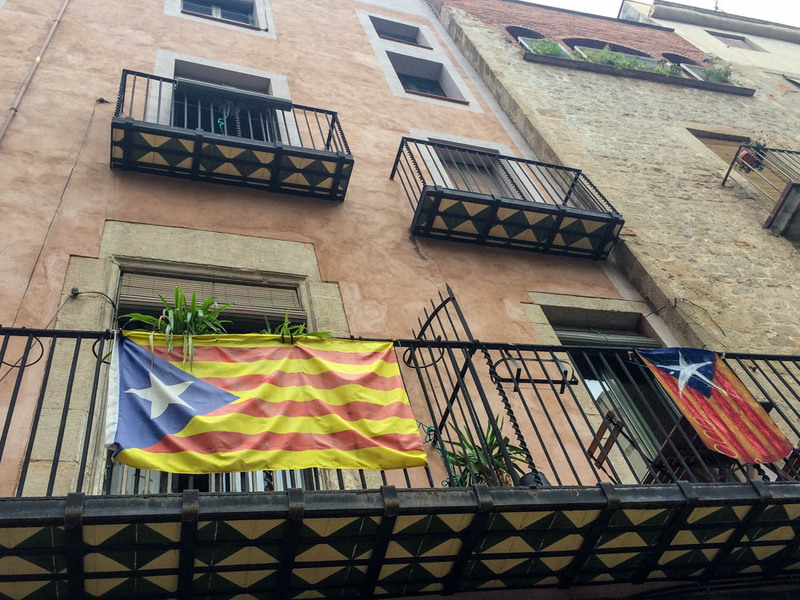 We loved seeing the Catalonia independence flag flying from balconies and after only a few hours walking the streets, we knew our time in the city would be special. We lucked out and found a house sit near the gothic quarter, which allowed us to spend a couple weeks exploring the city. We did a few touristy things, but tried to live like a local as well. 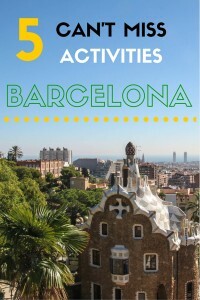 We know most people only have a few days in the city so we compiled a list of top activities to do in Barcelona. If you plan your time well, you can do all five in a long weekend! 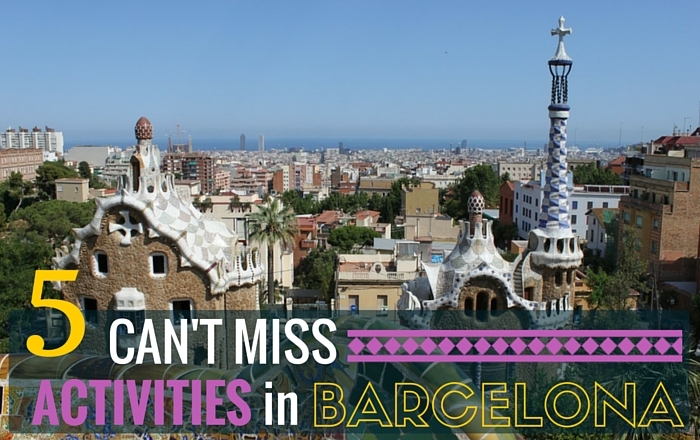 Here are Five Can’t Miss Activities when visiting Barcelona! Taking a guided tour of a city is something we generally go back and forth on. First, we don’t like spending extra money if we can see the same stuff on our own and for free. Second, you are stuck to a schedule and can’t take extra time to do as you please. However, the benefits and information provided by your tour operator can be worth the price and they will almost certainly know more than you. 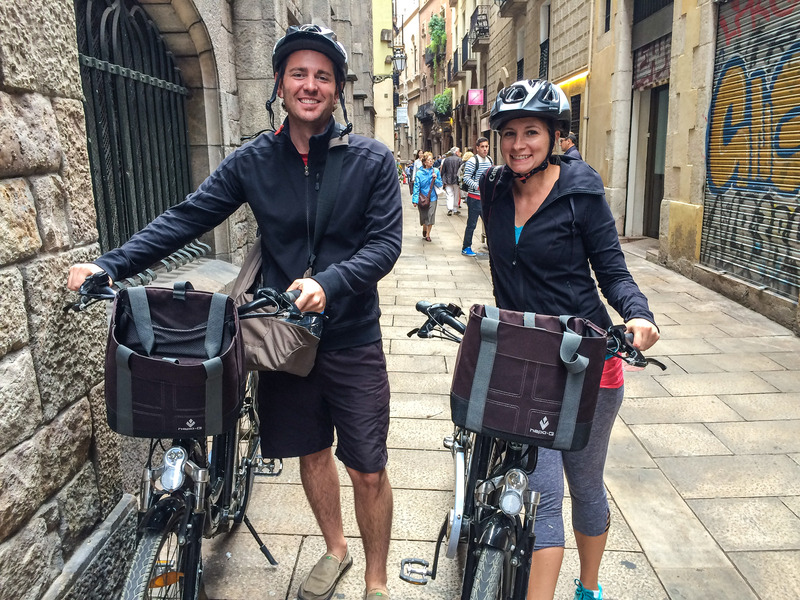 Barcelona offers a ton of different guided tours, including food tours, bicycle tours, segway tours, and even sidecar tours. We ended up going with an eBike tour and loved it! Read more about our time with Barcelona eBikes HERE! The El Born district is a great location to base yourself when visiting Barcelona. You will find plenty of places for food and drink, local food markets and shops. 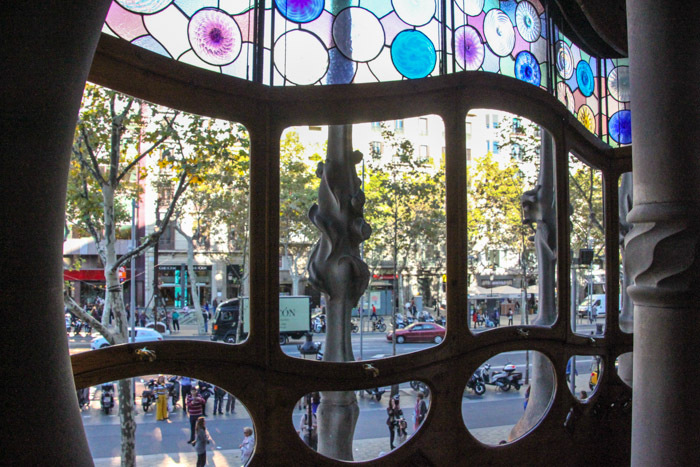 Historically, El Born was the artistic area of Barcelona and today you will still find many shops run by local artists. These shops have a wonderful selection of handmade items. Perfect for souvenirs and gifts! Being outside and in the open is part of the culture here and throughout Barcelona. We loved walking from our flat each evening for tapas and drinks and finding the locals sipping on cava or wine and simply enjoying each others company. It doesn’t hurt that the weather is just about perfect all year round. Antoni Gaudí is a Spanish architect and is responsible for many of the beautiful buildings across Barcelona. 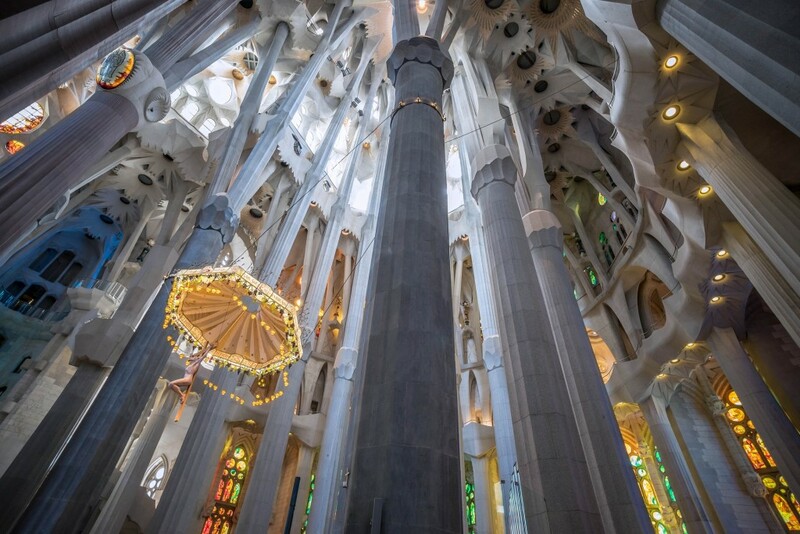 Gaudí was inspired by two things: God and nature, and this is evident throughout his creations. 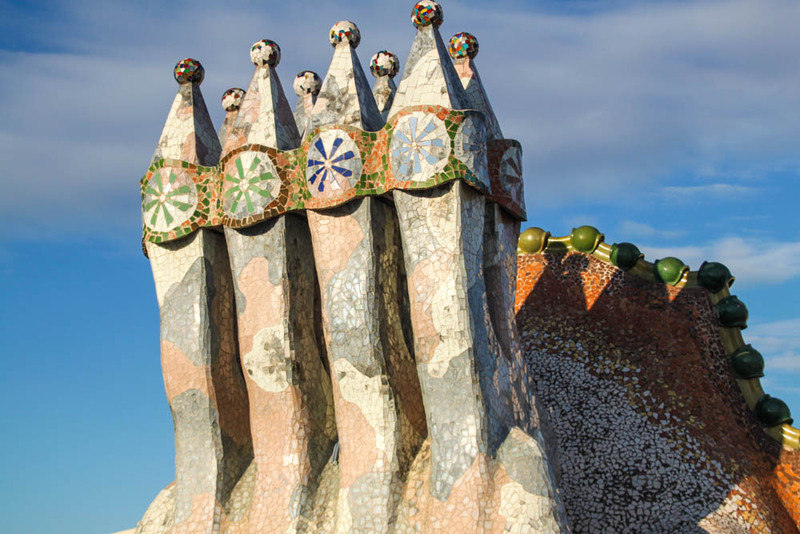 Catalans are proud of Gaudí and his works, so visiting some of these is an absolute must! We’ve listed a few of his most famous creations below. 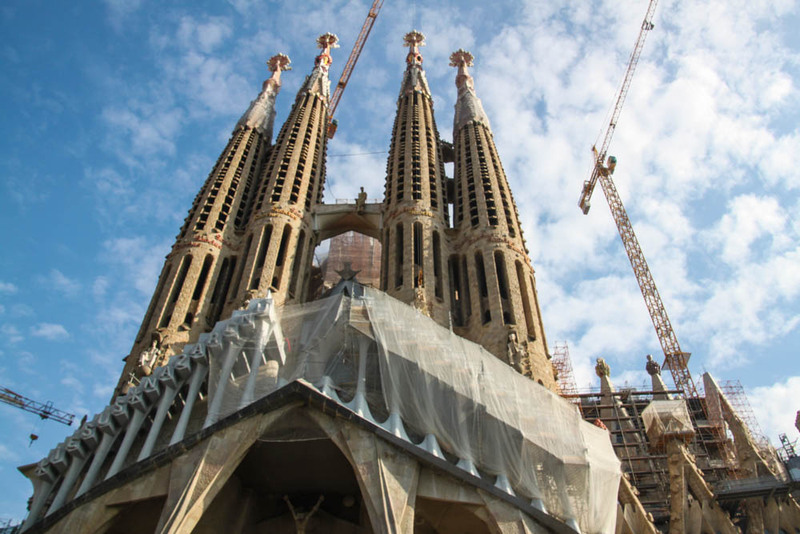 Chances are La Sagrada Família will look something like the photo above during your visit. This church has been under construction since 1882 and the earliest anticipated completion date is sometime in 2026! Don’t let the construction stop you from visiting though, it is stunning. This was Gaudí’s final project, which he was working on right up to his death in 1926. The church is meant to bring people into the faith through the beauty of the outside and then keep them there once they arrive inside. 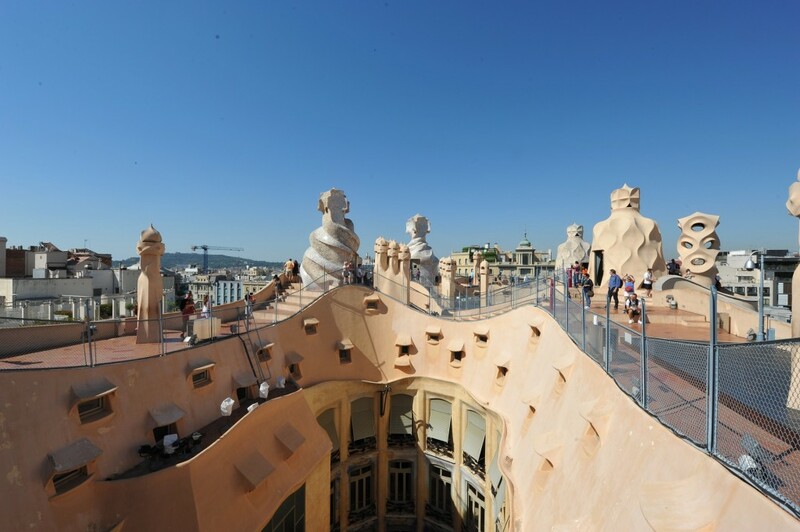 Casa Milà was designed and built for a prominent Barcelona family in the early 20th century. It has been preserved and turned into a museum, so visitors can now tour and see the inside of this beautiful building. The highlight is the roof top terrace which provides a beautiful view anytime of day. Casa Batlló is another building designed and built for a prominent Barcelona family in the early 20th century. 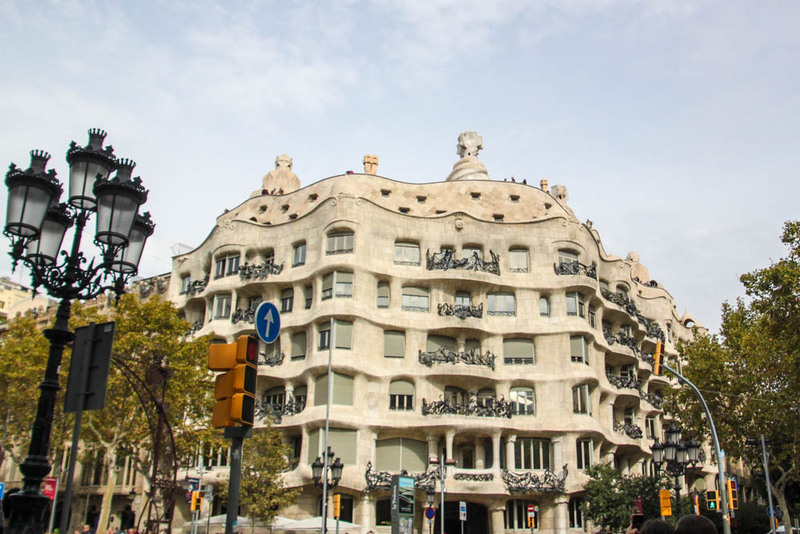 This is just down the street from Casa Milà, but the design is even more beautiful in our opinion. It has also been turned into a museum and we thoroughly enjoyed our time inside the house. Your ticket includes both audio and video guides. The video guide combines augmented reality with virtual elements allowing you to see how Casa Batlló looked when the Batlló family lived there. 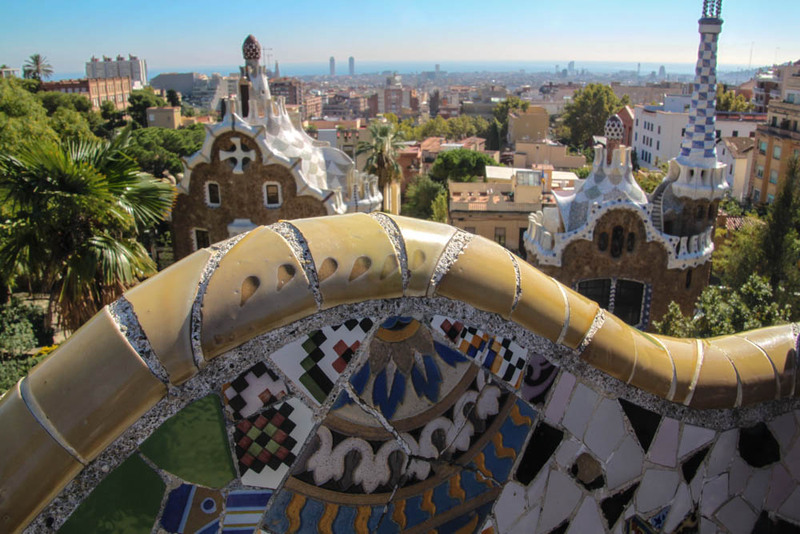 Park Güell is another of Gaudí’s grand designs, located near the outskirts of Barcelona. At the time this was a distance from the city center, but over the years the city grew and now it sits very near residential areas and businesses. The park includes wonderful architecture, known as the Monumental Zone, and plenty of green space and nature. A perfect Gaudí mix! 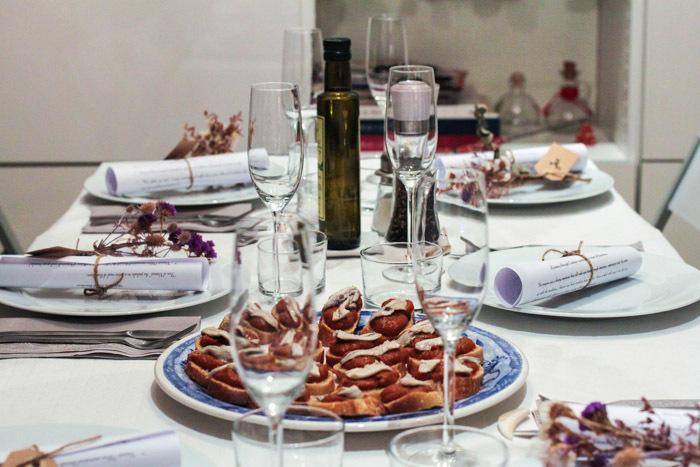 We signed up for an EatWith dinner and this may have been the most fun we had in Barcelona. The food we enjoyed was delicious and the company was even better! We spent a few hours sampling local drinks and dishes and getting to know new people. We dined with fellow Americans, Aussies and of course our Spanish hosts. It was a great night and something we can’t recommend enough. 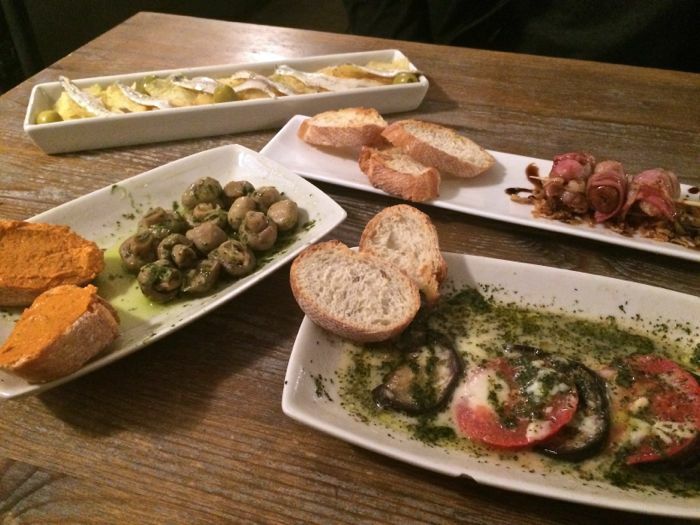 EatWith has a huge selection of experiences in Barcelona and all over the globe. And finally, the hop-on/hop-off tour bus. A staple of many big cities which get a lot of tourists coming to visit. We don’t do these very often, but Barcelona is a perfect city for taking advantage of this option. The city is large and spread out and the bus makes stops at many of the places you will want to see anyway. Paying for this option is an excellent way to get to the sites and will save you some headaches in terms of figuring out the local transportation system. And it will surely save you money if you generally consider taking a taxi! 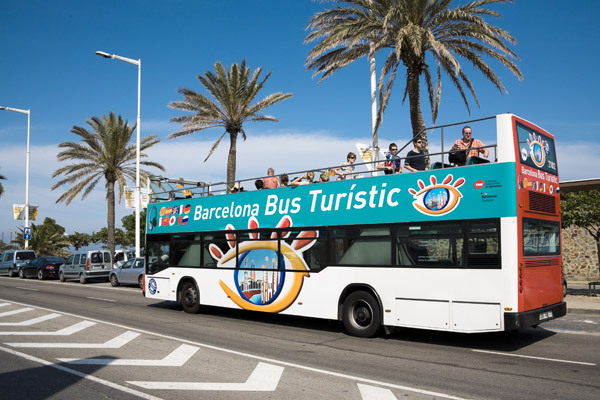 Plus, there is free WiFI aboard the Barcelona Bus Turístic, so you can immediately upload your instagrams and snaps! Your ticket includes an audio guide, so you will know what you are looking at as you cruise the city. It’s windy on those busses! You can make use of some short article advertising, though. Hi Mar- We definitely tried. Now pronouncing them correctly is another challenge. 🙂 I would agree that Barcelona is best seen by foot (if you have the time) as the city is so walkable. The bikes can definitely give you the same vantage point, just a little faster! All these beautiful things to do there, but I’m afraid I’ll get stuck just eating their tapas all day long. Hi Melody! Sorry to hear you missed El Born. We were lucky enough to be staying near by and kind of stumbled upon it right away. Give the eBikes a try in another city. While they do have pedals, the electronic part kicks in pretty quick. They are really fun! Fantastic list of Barcelona highlights! I agree that the hop-on/hop-off bus makes sense in Barcelona. We bought tickets on the ‘blue’ bus too and enjoyed our tour of the city. I love Gaudi’s work and appreciated seeing Casa Batlló and Casa Milà from the upper level of the bus instead of from street level. El Born is a fun to explore. I recently discovered the Gràcia, another interesting neighborhood with lots of local shops and cafes. Hi Nancy- Thanks for mentioning Gràcia! 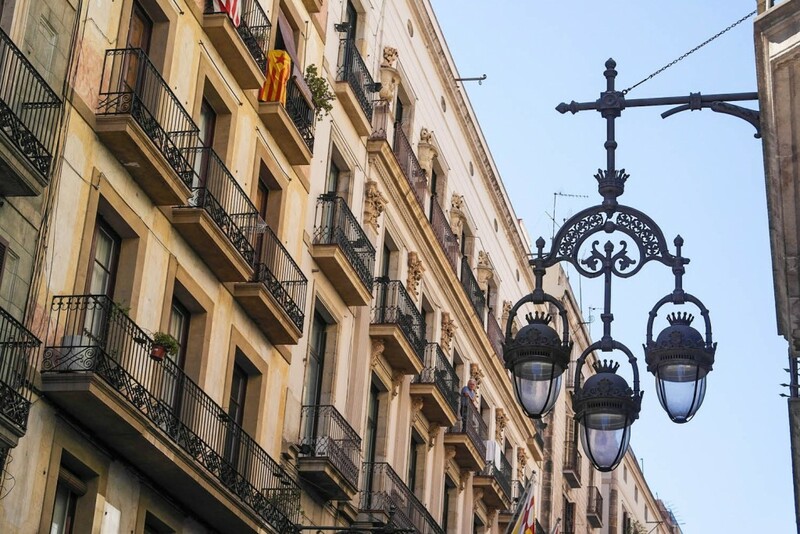 We’d love to go back to Barcelona and explore that area especially in August when they have their big neighborhood festival! Touring Barcelona by e-Bike would be fun! Nice to have that extra push so it’s easier to cycle up hills. We’ve visited Barcelona, and it’s a great city. 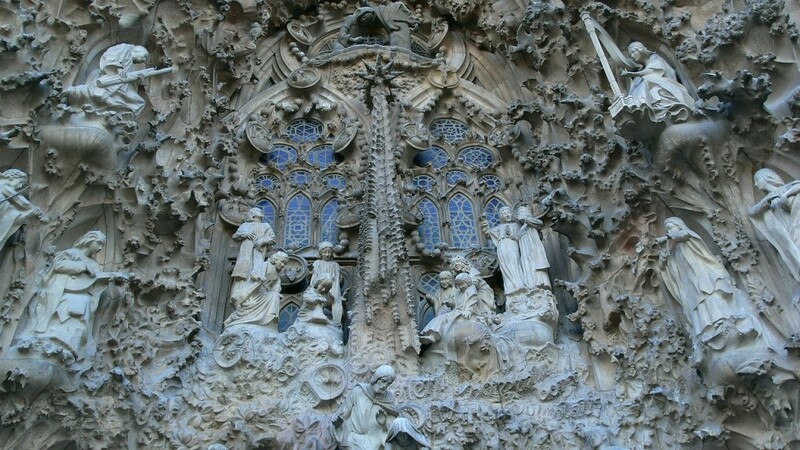 Gaudi’s La Sagrada Familia is extraordinary! 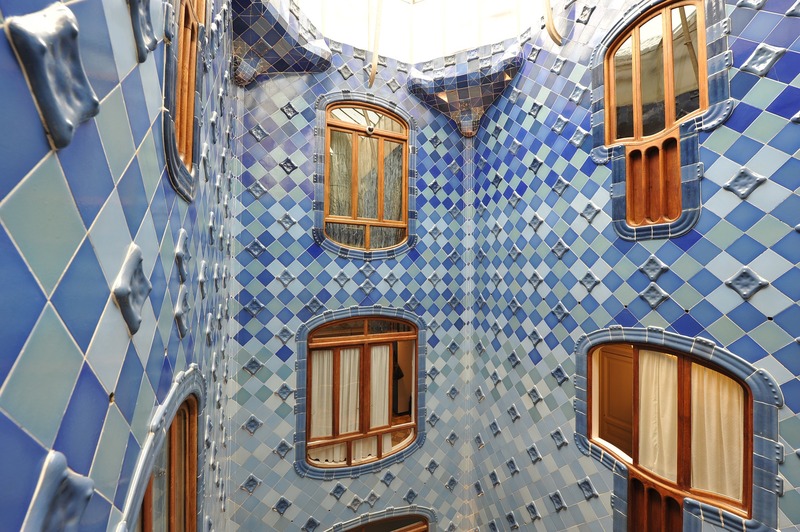 But we didn’t have a chance to see Casa Batllo – we’d like to do that (we love Gaudi’s whimsical curved wall and window designs). Thanks for the other good tips too – for when we hopefully visit Barcelona again :-). Hi Janice and George! I have to be honest, we weren’t very familiar with Gaudí before arriving in the city. 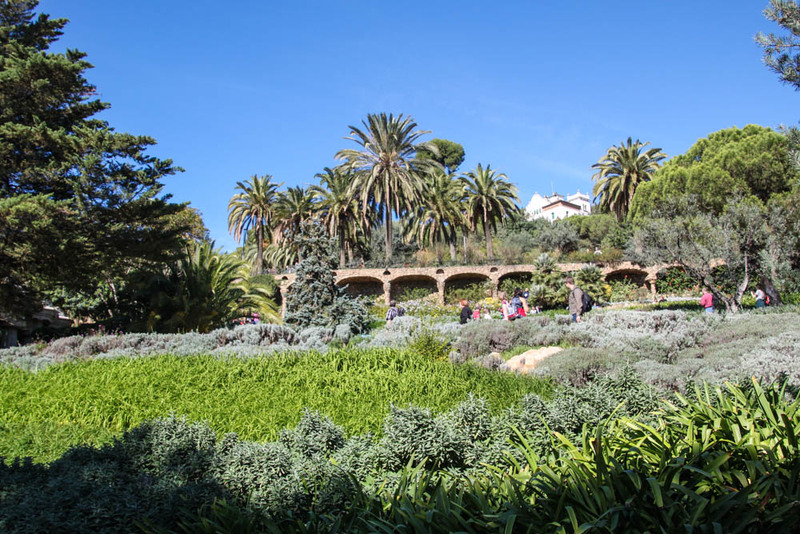 Once we saw Park Güell, we were hooked. I love the walls and windows too. I would love to have a house built with Gaudí’s principles in mind someday. Nice list! I’d be happy to go back to Barcelona again even if it’s just for Gaudi’s architectures! Totally loved them! Would also consider a walking tour especially around the Gothic area and maybe a couple of day trips from Barcelona to Monserrat and another small town somewhere. Nice! I Loved Barcelona and the architecture. Will have to consider the Eat With option next time sounds like a cool experience. Hi Nicole- Definitely look into it, there are so many options in Barcelona but also many options all over the world! 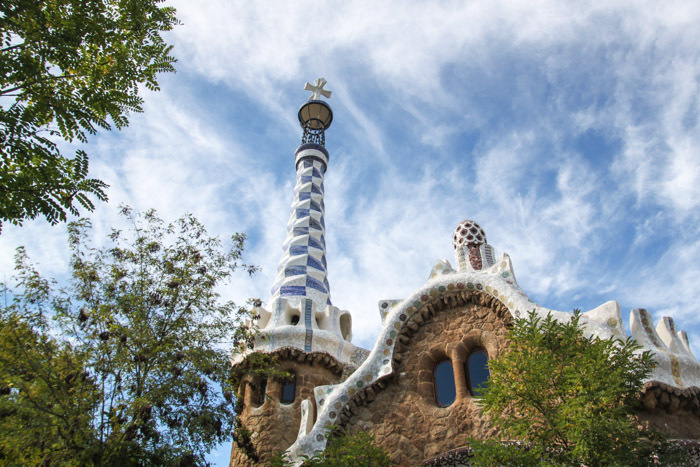 Gaudi architecture is a must-see, as you have recorded well here in your post! I really have to go to Barcelona…hopefully, 2018 at the latest! We really were blown away by everything Gaudí! It’s definitely the Gaudí Architecture which I think makes Barcelona most unique!! I’m with you on going back and forth on guided tours, though i do think that in some cases like barcelona, it’s good to take advantage of the knowledge of your guide as there are certain destinations where learning of the history can really shape your experience so much more. Absolutely, our eBike tour guide gave us much more information than the audio/video guides provided. 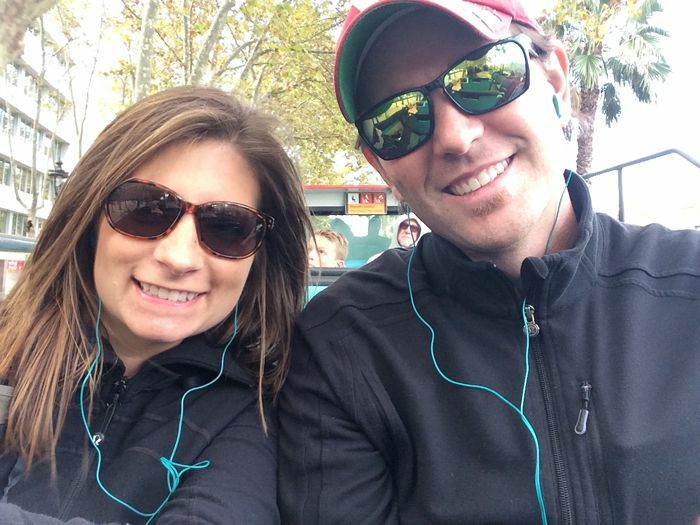 We were able to enjoy and understand the city on a much more personal level. That said, we definitely recommend doing a guided tour at the beginning of your stay in the city so you can apply all of the information you learned throughout your stay! Great compilation-Barcelona is absolutely charming. That food tour looks amazing. We love doing that sort of thing as well.